Isn’t symmetrical boring sometimes? If you agree with me, then you will enjoy the mismatched nightstands trend that is invading bedrooms around the world this past year. 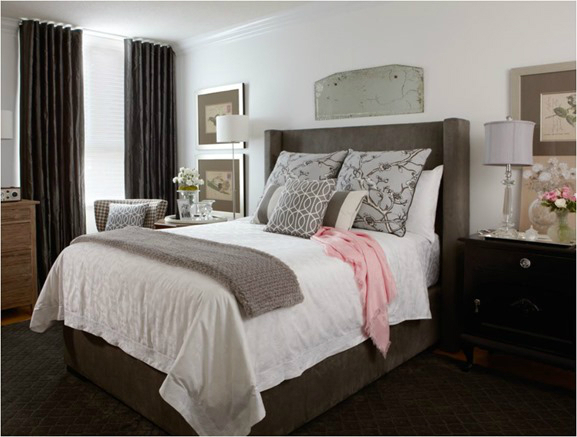 Different night tables on either side of your bed can work really well together, despite unequal heights and colors. 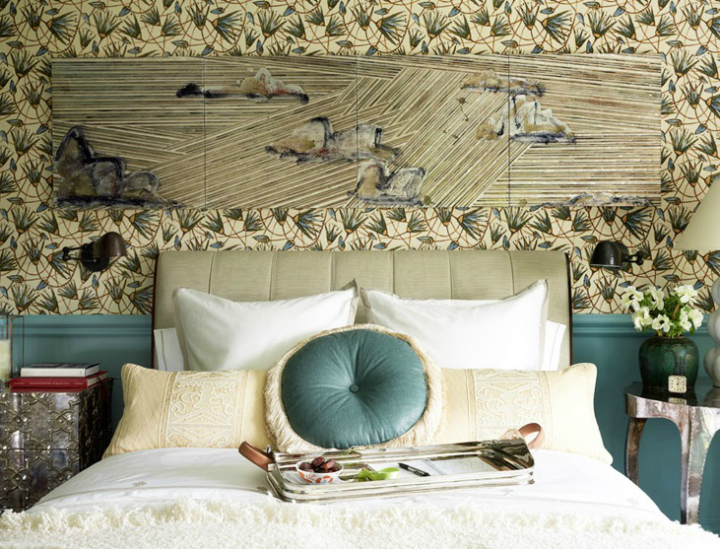 This trend can actually lend your bedroom some personality and eclectic charm and spice up the crisp, clear lines of modern interiors. 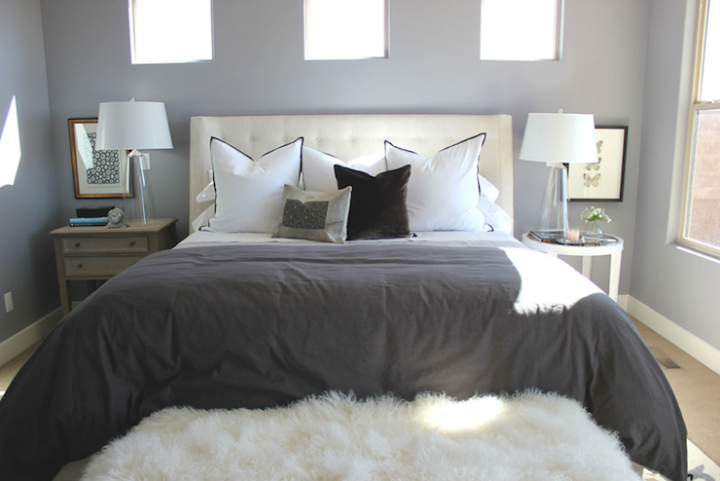 Image: The fabulous bedroom of Aimee Song from Song of Style. So it is time to bring out the hand-me-down furniture or flea market hauls that you didn’t quite know how to use, and rock them. 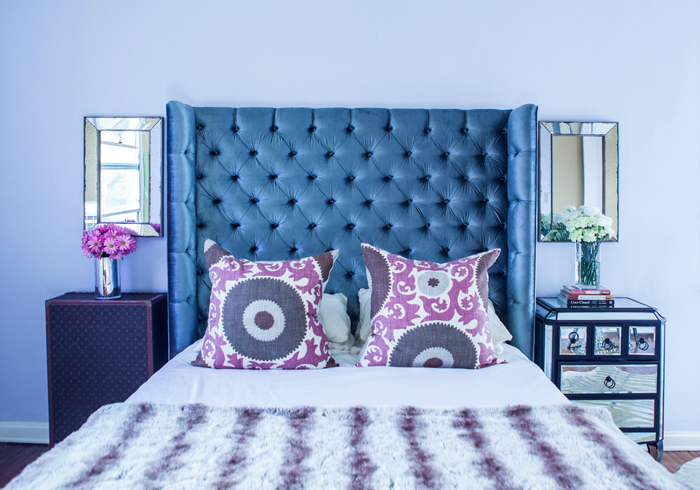 Give your bedroom a mismatched nightstands makeover with some tips that we’ve collected for you. The two tables you choose don’t have to be completely different in style. Choose tables that have somewhat similar shape and size, and make the colors fit with the general theme of the room. In this way, completely different finishes won’t matter and there will still be a cohesiveness to the furniture. Colors don’t always have to match. 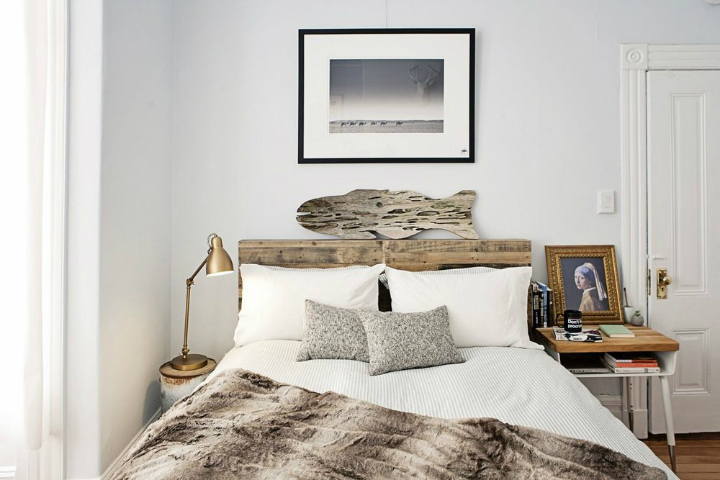 If your bedroom is minimalistic and Scandinavian, two different sized square tables in muted, natural colors will go well together. You can even use color to add personality to the tables. Have storage units double as classy nightstands. Have differently colored drawers in the same table. If you can, let the lowermost drawer have a similar finish to your flooring. If you can’t match styles, match finishes. A modern and vintage pair of tables can go well together with the same finish. In feminine spaces, add mirrored finishes. In a space with stone, concrete and glass, add wooden finishes for warmth. Pick a color already in the room and give both tables the same hue for a cohesive look. If you have tables that are wildly different in style and shape, and you want to keep their uniqueness, you could add unity with the same table lamp (or other accessory) on each table. Use lampshades that steal the show. You can even highlight the asymmetry, if you have the eye for it, with deliberately skewed placements of odd lamps, mirrors, even off-center lighting. You need something to unite these, however, such as color.